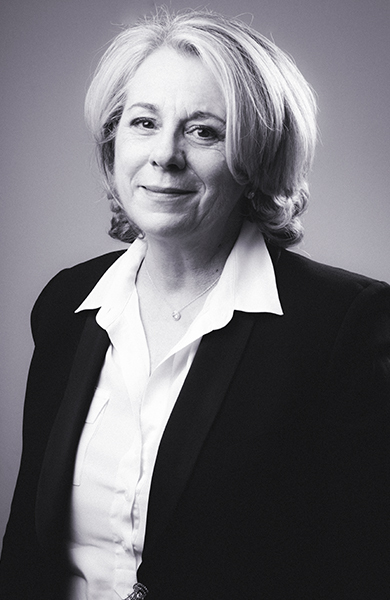 Avocate au Barreau de Paris and a partner of CastaldiPartners, Martine Monnier co-leads the firm’s Corporate & Commercial law practice. Expert in business law, Martine Monnier developed specific expertise in corporate law issues and transactions, mergers and acquisitions, strategic operations and contractual partnerships. Martine Monnier works with the general and operational management of client companies and accompanies them in all stages of their development and activity. Martine Monnier has been an Avocate since 2003, after having held the position of Legal Counsel in various international groups in the automotive, oil, IT and real estate sectors. At CastaldiPartners, she is a member of the Corporate & Commercial and M&A teams, with a special focus on the Automotive and the Fashion & Luxury sectors. Her working languages are English, French and Italian. Completed several equity and debt financing transactions in the automotive and luxury sectors. Advised a client in connection with the merger by takeover of one of its distributors in the ready-to-wear sector. Advised in connection with the implementation of employee shareholding transactions for a management consulting company. Advised in connection with the implementation of delegations of authority as part of the internal control procedures in the automotive and luxury sectors. Advised clients in their family wealth transfer plans. Advised in connection with the establishment of a teaching and partnership in research chair. Advised within the framework of a project to create an EEIG (European Economic Interest Grouping) between France and Italy. Advised in connection with the creation of a Federation of junior legal counsels. Advised in connection with the sale of a portfolio of well-known brands. Advised in connection with the drawing up contracts specific to the industrial subcontracting sector in order to manage just-in-time and customer invoice dematerialization requirements. Conducting training or seminars on company law and contract law, in particular at private vocational training institutes. Former member of AFJE (Association Française des Juristes d’Entreprise). Paris I Panthéon Sorbonne - Bordeaux I.
Paris I Panthéon Sorbonne – École du Louvre.